Search engine optimization (SEO) and social media marketing efforts can result in increased customer traffic over the long term. They do, however, need time to take full effect and are not the best for producing immediate search results. If your business is in need of faster improvements, consider pay-per-click (PPC) advertising. Also known as “banner ads”, PPC can get your product or service right in front of customers quickly and provide fast returns. Since the gains from PPC stop as soon as you aren’t paying for them, SEO and social media strategies will win out in the long run. Still, PPC has a useful place in marketing and it’s worth knowing how to make an effective campaign. The most integral part of a PPC campaign is the actual type of ad your audience will see. There is no “one-size-fits-all” approach to ads. You will have to create a different copy for each possible query that could bring someone to your website. Otherwise, your ads will end up overly generic and uninformative. Remember that PPC ads appear to audience members who are likely doing something else online. They aren’t likely to click on your ad if they don’t know what they’re going to find and especially if they don’t think it’s relevant. When you launch a PPC campaign, keep an eye on the click-through and conversion rates each form of copy results in. This not only lets you find out which ads work best for your audience, but what elements attract people to you more. Such things could be phrases, keyword themes, offers, fonts, or colors—you will never know unless you investigate, compare, and test. Like with any other form of marketing, you want your ad to include a call for action—something the audience is asked or encouraged to do. These entice people to click on the ads and visit your website, which they may not do so without the invitation. Calls to action don’t need to be elaborate or deep. Simple things like “Learn more” can be enough to work. Alternatively, phrases like “get your free estimate” can also work just as strongly. The internet is not bound to any one location. Your business, however, may be. Make sure your ads are targeted to the right geographic areas to avoid missing out on customers and wasting your time advertising to people who won’t use your service. Being the best catering business in, say, Toronto, won’t help if your ads end up going to someone in Ottawa. Proper targeting is all about understanding your market research and adjusting your campaign’s settings. There is room for experimentation, but rarely at the cost of existing audiences. If your ad copy can be analogized to a door, then your landing page is the front hall or atrium. The page that people are brought to when they click on an ad can be just as important as the ad that takes them there. A user-friendly, professional website that offers clear information and direction is imperative. Consider what those who click on your ad are going to try and accomplish and track the number of steps they need to complete it. If they clicked to receive a free estimate, for instance, make sure they don’t land on your home page and have to do extra clicking to get what they came for. The applicable and effective PPC strategies change depending on what device people are searching on. An ad that encourages people to “call now” won’t be as effective on a computer or tablet, for instance. Such an ad could work on a mobile browser, however, if clicking the ad automatically begins the dial. Similar rules apply to texting as well. Incidentally, mobile ad copy needs to take the smaller screen into account to avoid obstructing more of the audience’s view than intended. One of the major balancing acts in designing PPC copy is how to attract attention without being obtrusive or annoying. 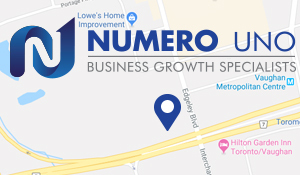 Numero Uno Web Solutions is a provider of search engine optimization, PPC, and content marketing solutions to start-up and small companies from all industries and fields. We stay on the pulse of industry changes and adapt our practices to produce quality SEO, PPC, and content marketing plans to fuel the growth of businesses across communities. Click here to learn more about marketing techniques and how we can help improve your search profile.